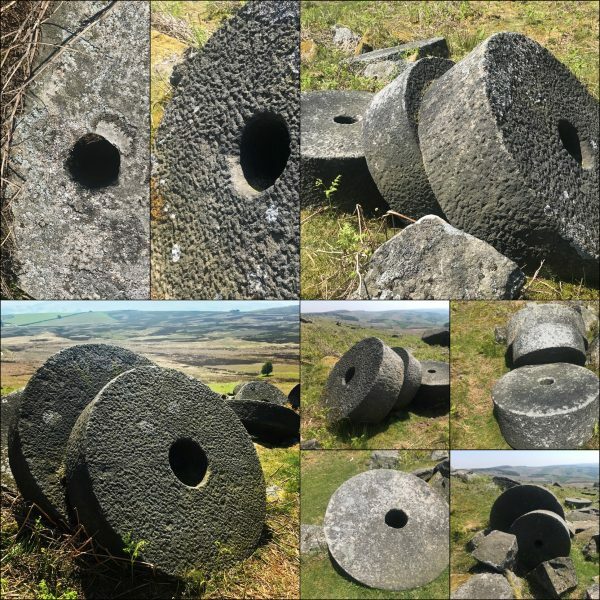 “While researching Moulton Mill, I was reminded of a visit to an area of Derbyshire called Stanage Edge, where, when out walking, I came across what can only be described as a millstone graveyard; an area where discarded mill stones cut from the hard rock had been left, never to be used. I began to conceive ideas based on the circular aspect of the mill, the millstones, cogs and wheels, throughout the building in fact circular shapes exist in practical and decorative terms. It is through this route that my ideas for the commission have taken shape. I am constructing a free standing circular structure, that is a modern version of the mill wheel - the same size as the original but conceived in perspex, interactive via conductive paint, and highly visual, using graphics drawn from the building’s shapes, colours and textures. Audio will be drawn from sounds and words recorded onsite and sounds recorded in workshops. The work will be lit from inside creating a ‘glow’ effect. During the research period I have spoken to a number of volunteers at the mill, presented workshops at the local school and residential care home, Abbeygate. This period has allowed me to discover memories, thoughts, ideas, practical information and soundbites from various groups and ages. 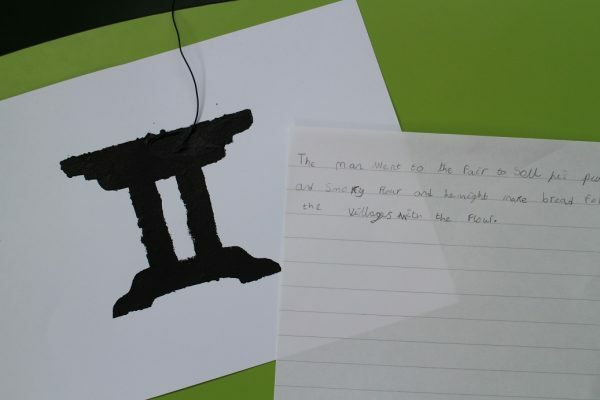 The young people at the school created short lines/poems that were recorded, the older generations in the care home utilised memories of the mill to inform and stimulate spoken word aspects that have also been recorded. I have been working closely with mill volunteers to record specific sounds that not everyone would normally hear on a visit. Visually, as well as the recurring circular nature of the building, the texture and pattern created on the mill stones, cogs and wheels, the sandstone colour of the brick (very specific to the mill), the wooden steps leading to each floor, the skyline/view, patterns in use of materials and design elements will all impact on the graphic images that will adorn the circular shape. The finished work will have up to 14 sounds each emphasised by a visual image or shape that denotes the touch areas. Graham’s work will be on view on the Heritage Open Day weekends; Thursday 6 – Sunday 9th and Thursday 13th – Sun 16th September. Look out for creative family workshops taking place at the Mill over these weekends. Lincolnshire set for its biggest Heritage Open Days Festival!